The newspaper's "Estacada Hilites" section outlined residents' recent activities. "Mr. and Mrs. Dell Nordquist and family and her sister Myrtle Lee drove to Roseburg last and attended the wedding of their nephew Craig Lee Saturday," The News reported. The family also "went to Coos Bay to visit their daughter Delberta Zimmerman and family, and Myrtle Lee came home." A performance of the Estacada twirlers at the Jantzen Beach Mall had recently been broadcast on Channel 8. "Despite the TV cameras and an audience that numbered maybe hundreds, their performance was beautiful," The News reported. "The dancers were introduced by their president, Tammy Sugden and their vice president, Bobby Cullens. During the 30 minute filming the Channel 8 director chose Christy Miller and Bobby Cullens for a close up interview about the dances and dancers." Community members celebrated the opening of a new section of Highway 224. 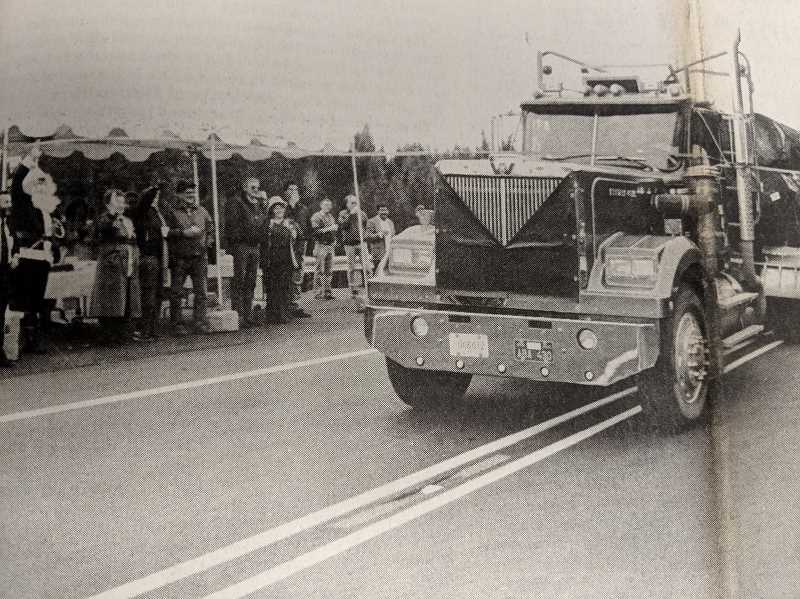 "The six mile stretch of highway three miles southeast of Estacada was on the drawing board for more than a decade before the $11.2 million project got underway in the summer of 1986," the newspaper wrote. "The new highway replaces a narrow winding stretch of Highway 224 which followed the banks of the Clackamas River." Jacque Christenson, an eighth-grader at Eagle Creek Elementary School, was the News' student of the week. Her favorite subject was math, and she was a member of the student council. "In her spare time, she enjoys playing sports and music. She has played volleyball for a year and softball for seven years," The News reported. "She said she'd like to be a music teacher when she grows up." Items from the newspaper's community calendar a decade ago included a meditation class at the library, a food drive hosted by several local businesses and a horse blanket drive. Philip Foster Farm was preparing for its annual Christmas in the County event. The day featured the parlor of a historic pioneer house decorated as if attendees were at a holiday gathering from Oregon's past. Santa Claus was expected to make an appearance as well. "It's really nice. It's small and somewhat low key. If you've taken your kids to a mall Santa, that's not what this is," said Jennifer Goldman, programming director at Philip Foster Farm.